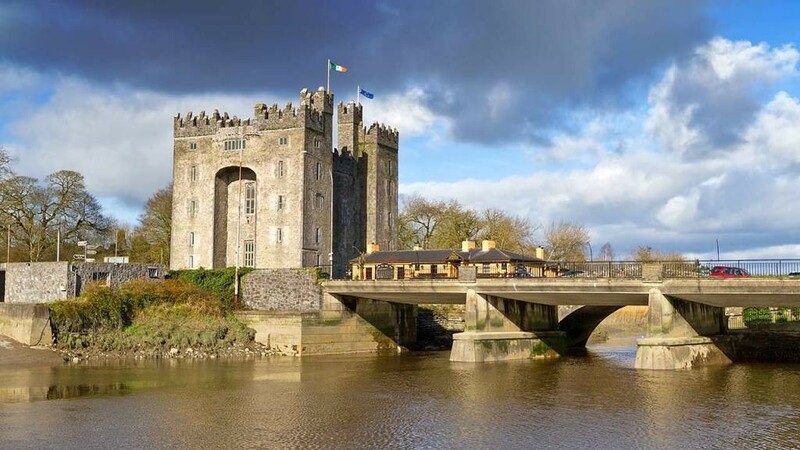 Bunratty Castle is only a few miles south of Dromoland Castle. Its the perfect place to visit in to get an in-depth look into Irish culture and customs. Built in the 15th century and restored in the mid 20th century, Bunratty Castle and Folk Park is the most authentic medieval fortress in Ireland. The perfect day trip for families or anyone who just wants to escape into old Ireland. Here the tower house is pictured adjacent to the River Shannon.